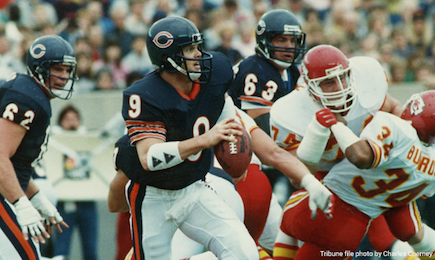 Former Super Bowl champion and Chicago Bears quarterback Jim McMahon credits medical marijuana for helping him recover from the chronic pain he developed from his long and arduous career as a football player in the NFL. Now 56, McMahon has been plagued by debilitating health problems following his 15-year career in the National Football League which included multiple concussions and a broken back. Since retiring from football, McMahon has been diagnosed with early onset dementia and experiences severe headaches, depression, memory loss, and vision and speech problems. As a result of all these health issues, McMahon has joined other players in a pending class-action lawsuit accusing the NFL of negligence and misconduct in handling concussions. Since he came forward with his health issues, McMahon said he has been feeling significantly better after his recent chiropractic neck treatments, but says medical marijuana got him off the copious amounts of prescription narcotic painkillers that he took throughout his career. McMahon received his doctor’s recommendation for medical cannabis in his home state of Arizona after it was approved by a voter referendum in 2010. However, his focus lately has been on the state of Illinois, where he is advocating for chronic pain to be added to the list of acceptable conditions for medical marijuana patients.